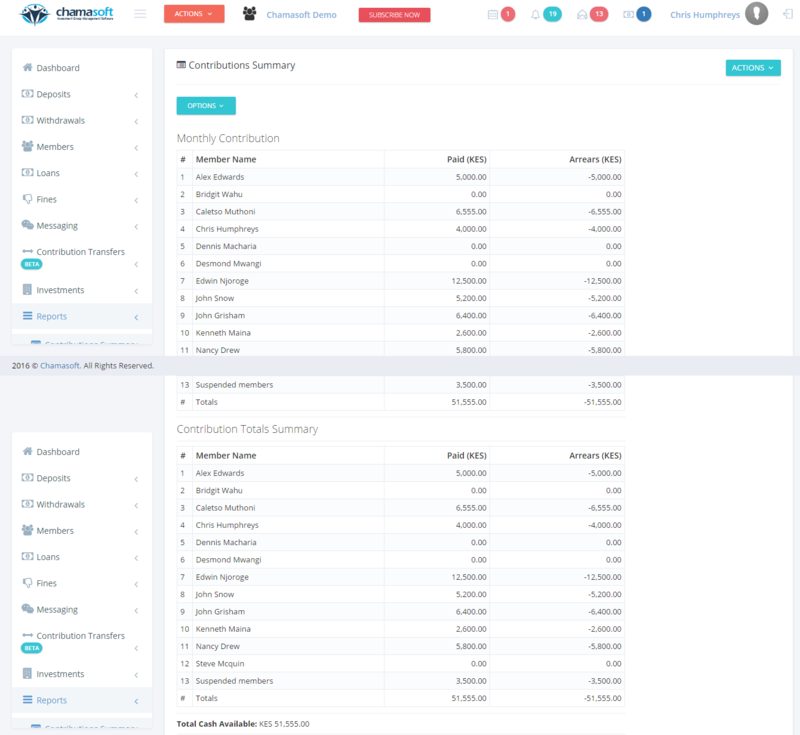 Chamasoft auto-generates a contribution summary of all the contributions on the group. This shows the monthly contributions and the total group contributions summary that has taken place in the group. Here you can view all the contributions that have taken place in the group.